Mission: Impossible - Fallout (film, 2018). A 2018 American action spy film with "PG-13" rating by Paramount Pictures. Directed by Christopher McQuarrie. Official Trailer. 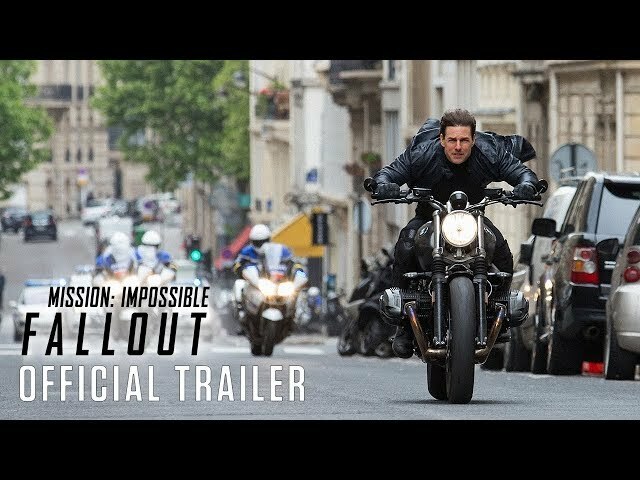 Mission: Impossible - Fallout is a 2018 American action spy film directed by Christopher McQuarrie. 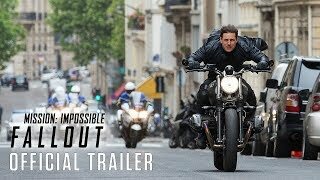 Mission: Impossible - Fallout (2018) - Official Trailer - Paramount Pictures. Two years after Solomon Lane's capture, the remnants of his organization, The Syndicate, have reorganized as a rogue terrorist group called the Apostles. IMF agent Ethan Hunt is assigned to buy three stolen plutonium cores in Berlin from Eastern European gangsters before the Apostles can. He is joined by Benji Dunn and Luther Stickell for the mission, but the team fails when Stickell is taken hostage and Hunt's attempt to save him allows the Apostles to make off with the plutonium. The team later captures nuclear weapons expert Nils Delbruuk, who designed nuclear devices for an extremist named John Lark. They confirm that Lark hired the Apostles in order to find Lane. Furious at the IMF's failure to secure the plutonium, CIA Director Erica Sloane instructs Special Activities Division operative August Walker to shadow Hunt as he attempts to retrieve the plutonium. Hunt and Walker infiltrate a nightclub party in Paris where Lark is believed to be buying the cores from arms dealer Alanna Mitsopolis, also known as the White Widow, who acts as the middleman in the sale of the plutonium. They track a man whom they suspect to be Lark, but while attempting to subdue the suspect to assume his identity, the man is killed by MI6 agent Ilsa Faust, who intervenes in order to save Hunt. Hunt sticks to the plan and assumes the role of Lark without a disguise and escapes from the hitmen sent to kill Lark and Mitsopolis. To secure the plutonium, Mitsopolis tasks Hunt with extracting Lane from an armoured convoy moving through Paris. She provides one of the plutonium cores as a down payment. With Mitsopolis and her brother intending to use lethal force on local police, Hunt and Walker attack the convoy in advance. They lead the police and Mitsopolis' men on a chase across Paris while Dunn and Stickell secure Lane. Faust reappears and attempts to kill Lane to prove her loyalty to MI6, but Hunt evades her and the extraction is successful. Mitsopolis instructs the team to deliver Lane to London. 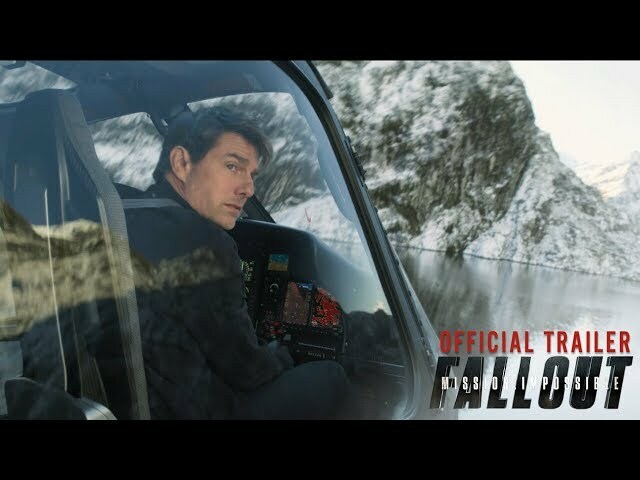 The film Mission: Impossible - Fallout was scheduled to be released by Paramount Pictures on July 12, 2018 (Paris, première), on July 25, 2018 (United Kingdom, Indonesia), on July 26, 2018 (Argentina, Brazil, Denmark, Hong Kong, Israel, Russia, Saudi Arabia, Singapore, Ukraine), on July 27, 2018 (United States, Bulgaria, Croatia, Turkey, Vietnam, Canada, Spain, India, Sri Lanka, Pakistan, Taiwan, South Africa), on August 1, 2018 (France, Iceland), on August 2, 2018 (Germany, Czech Republic, Australia, Hungary, Netherlands, Portugal), on August 3, 2018 (Finland, Japan, Norway, Sweden), on August 10, 2018 (Estonia, Poland), on August 17, 2018 (Lithuania), on August 29, 2018 (Italy), on August 30, 2018 (Greece) and on August 31, 2018 (People's Republic of China). The duration of the film is 147 minutes. With a budget of $178 million, the film grossed over $791.1 million. Mission: Impossible - Fallout got high rating from critics. The audience also likes the film. Audiences polled by CinemaScore gave the film an average grade of "A" on a scale ranging from A+ to F.